I'd love to send out 5 Jars of Hope this month. I wish I could send more but I'm starting with 5 in January. If you know a mom that is fighting cancer and you'd like for her to receive a jar, please email me with her info at paperdolldesigns@cox.net. 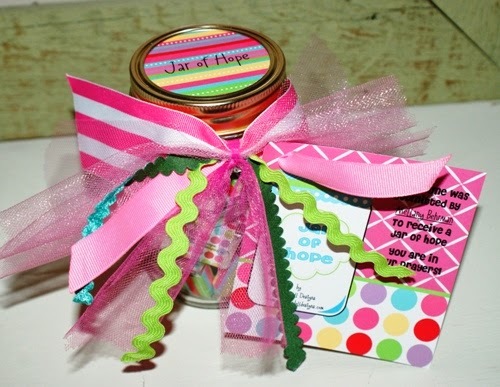 You can read about Jars of Hope here.